Make sure your customers have a clear sight of your business in Baltimore by using one of our stand out trade show display systems! The Baltimore Convention Center is the perfect place to exhibit while on the East Coast. In your down time, you'll find yourself in the epicenter of pop culture history with the Babe Ruth Museum, Edgar Allan Poe's Grave, Geppi's Pop Culture Museum and Ripley's Believe it or Not all within walking distance! Swing for fences! Trade shows are a widespread way to showcase your services, products, and business. The benefits and value of trade shows have gone up due to the advances in internet technology and social media marketing. Where is the Baltimore Convention Center Located? The Baltomire Center is located at 1 W Pratt St, Baltimore, MD 21201. Located right downtown, this is one of the most expansive convention centers on the East Coast for exhibiting your business's products or services. Trade show both will enable you to reach new customers who can become possible customers. Moreover, trade show booth will also help you to create new business connections and partnerships. The engagement and interactions that take place at trade shows can bring about new ideas for new services or products. Thus, this can lead to your business growth and more connections. However, with the many benefits that come with trade show display, there are several things to consider before buying a trade show booth. Any mission must have goals. Without goals, you cannot achieve anything. To accomplish these goals, you must have strategies. Likewise, before buying a booth, you must know what you want to obtain from the trade show and have the right mechanisms to achieve what you want. 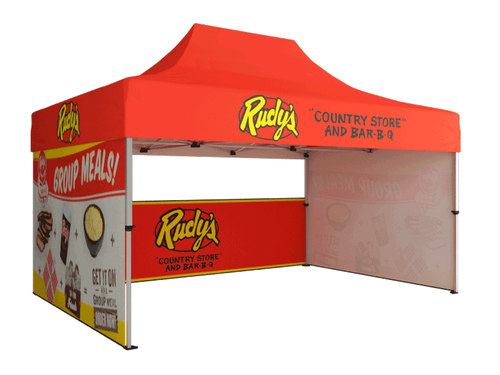 Your business goal as well as the services and products your company or business offers will determine the kind of trade show booth to purchase. Moreover, the design and the sort of tradeshow booth you buy can determine the influence you will have at the trade show. Additionally, the trade show booth type can have an impact on the feedback you will receive from potential customers. The public, as well as other business and partners, must know about the trade show and the dates it will take place. It is essential to ensure that the trade show booth is well publicized early enough before the actual date. Ensure the advertising campaign for the booth is fascinating to attract more existing and potential customers to the booth. Essential, you must ensure that the booth that you buy has big enough to accommodate all the visitors you are expecting on the day of the trade show. A trade show booth will not only allow you to have face-to-face interaction with your customers about what you offer. It comes with many more benefits to your business. A trade show booth will let you explain more why your products or services are better as compared to those of competitor companies. Thus, giving your customers and the potential ones the reasons why they should prefer your products to that of your competitors.